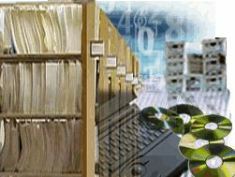 Records are an essential tool of good business and for efficient administration. The work of records management is responsible for the systematic control of the creation, maintenance, use, and disposition of current records and information. The Executive Certificate in Records Management offered by HKU SPACE is an exceptional opportunity to further your professional knowledge in the area of records and information management. Administrators, executives, officers and librarians in special libraries who are responsible for resources allocation, office management and information management work will find this course most beneficial. The course will be commence on 25 September, every Wednesday for 20 sessions. Course detsils can be found at http://hkuspace.hku.hk/prog/exe-cert-in-records-management ,or download course leaflet here and the enrolment form for reference. Enquiries please contact Ms Tam at 2587-3227 or armstudies@hkuspace.hku.hk .